You can write on THAT?! 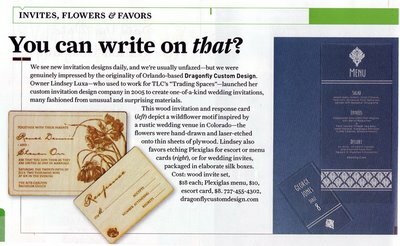 Dragonfly was recently featured in the Fall /Winter issue of Bride's Magazine! Check it out! Our super-chic plexiglass menu and placecards and rustic-inspired wood invitation set (both laser engraved) were highlighted. 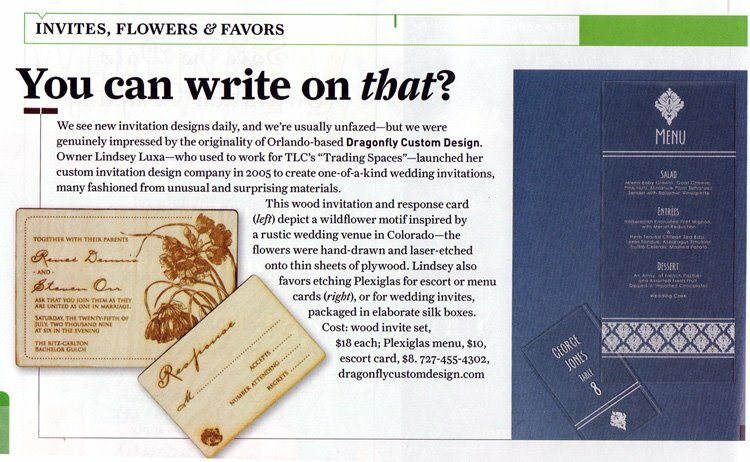 We want to thank our fabulous friends at Bride's for their amazingly kind words. We are honored to have caught your eye!